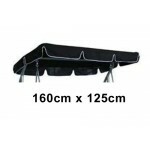 Flat Roof Swing Canopies in a range of different sizes and colours. 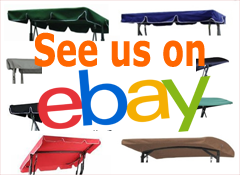 Scroll down our list of items to find the best size for you. Click the item name (or 'Add to Cart') to view the colours available for your chosen size. 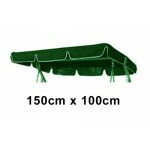 165cm x 110cm Replacement Swing Canopy with White Trim. 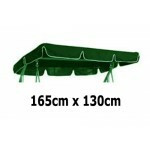 Use the drop-down box to see colours availab..
165cm x 120cm Replacement Swing Canopy with White Trim. Use the drop-down box to see colours availab..
165cm x 130cm Replacement Swing Canopy with White Trim. Use the drop-down box to see colours availab..